For a long time, it seemed reasonable to think that PLM technology had reached a high level of maturity and that it had become firmly established in industry as an enabler for greater productivity in product development. However, this year, which is hurrying toward its end far too quickly, I have had to give up some of my previous certainties. The dictum coined by Heraclitus clearly also applies to PLM: There is nothing permanent except change – however quietly it comes about. For three years, 12 companies and research institutes have joined forces in the mecPro² consortium project sponsored by the German Ministry of Education and Research (BMBF) to examine what a model-based development process for cybertronic products and production systems might look like. 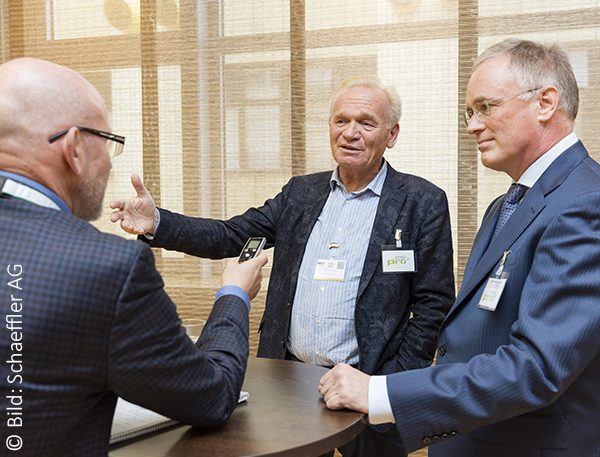 Professor Martin Eigner, who initiated the project, and consortium head Dr. Walter Koch from the Schaeffler Group explain the most important results. 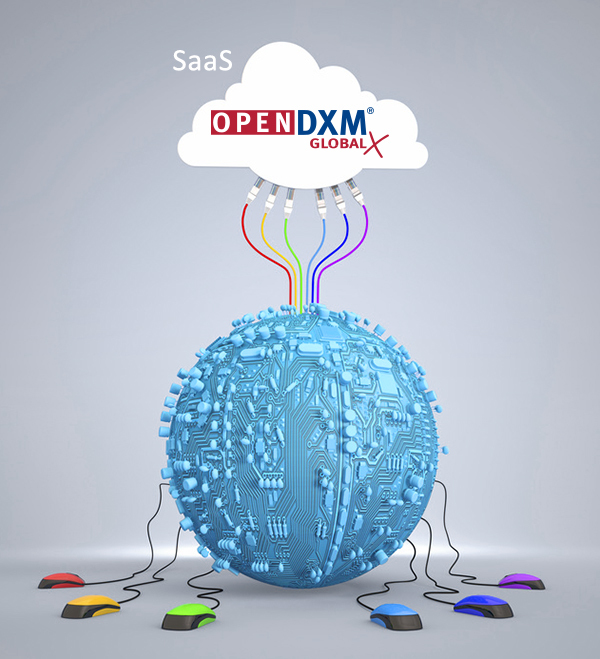 Companies that do not themselves possess the appropriate infrastructure or the know-how and personnel necessary to operate their own data exchange solution can now use OpenDXM GlobalX free from any installation or operating effort. PROSTEP is making its leading solution for data exchange and managed file transfer (MFT) available to customers as an SaaS (Software as a Service) model in a secure private cloud. 3D printers allow components to be produced quickly. These can be prototypes or spare parts for example. However, steps must be taken to ensure that the correct data is printed and it cannot be copied any number of times. PROSTEP is therefore developing a secure additive manufacturing platform (SAMPL) together with different partners using the same blockchain technology used for Bitcoin. These development activities are part of the PAiCE funding program. MIBA AG, a strategic partner to the global engine and automotive industry, has decided to use PROSTEP's hosted data exchange and conversion service. Outsourcing data exchange and conversion operations saves the company from having to acquire and maintain OEM-specific CAD environments. In cooperation with Siemens Industry Software, PROSTEP will be offering a 3D PDF solution for drawing-free communication of 3D models. Technical Data Package (TDP) for Teamcenter combines existing solution modules from PROSTEP with a template for the automatic generation of 3D PDF documents. The template is based on the German Association of the Automotive Industry`s (VDA) guideline for drawing-free processes. 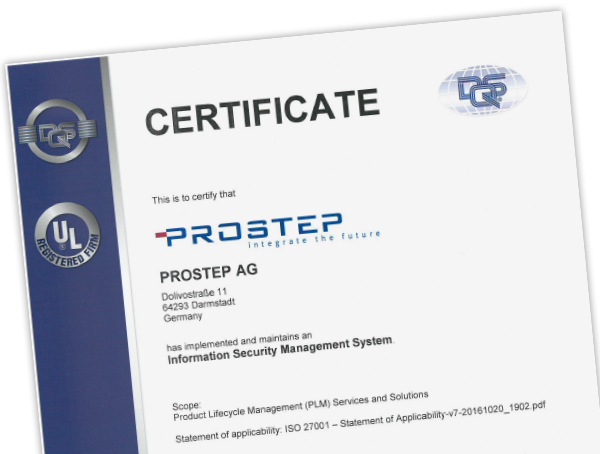 Preparation for certification took nearly a year and now PROSTEP has reached the end of its marathon: The PLM consulting and software house is one of the first 800 German companies to receive coveted ISO 27001:2013 certification. PROSTEP is thus showing its customers just how seriously it takes the subject of data security and that their data is in good hands. There's cross-company collaboration - and then there is cross-company collaboration. Depending on whether the partners work together occasionally or regularly or whether it is even a long-term joint venture, companies will have different requirements of a collaborative solution. 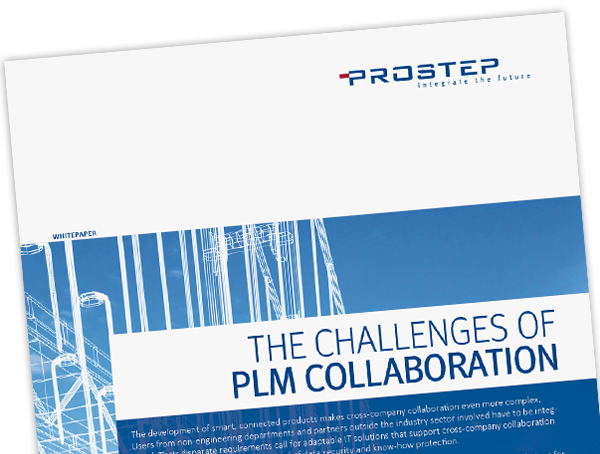 In its new white paper, "The challenges of PLM collaboration", PROSTEP examines the different use cases. Working together with DSC Software AG, PROSTEP has integrated OpenDXM GlobalX, the world's leading solution for data exchange and managed file transfer (MFT), into the SAP PLM solution Engineering Control Center (ECTR). As a result, developers, purchasers and other users who manage CAx data or Office documents in SAP PLM are now able to access functions for secure data exchange from within their familiar working environments. Smart, connected products for Industry 4.0 and the Internet of Things (IoT) are now being developed and produced in agile competence networks involving a multitude of new players. It is not necessarily essential to introduce new standards in order to ensure the exchange of information between the partners. Indeed, it might well be of greater use if we could intelligently combine the many standards that already exist and apply these more consistently. Even websites can become "dated" and in this day and age, they need to be lean, easy to navigate and mobile friendly. 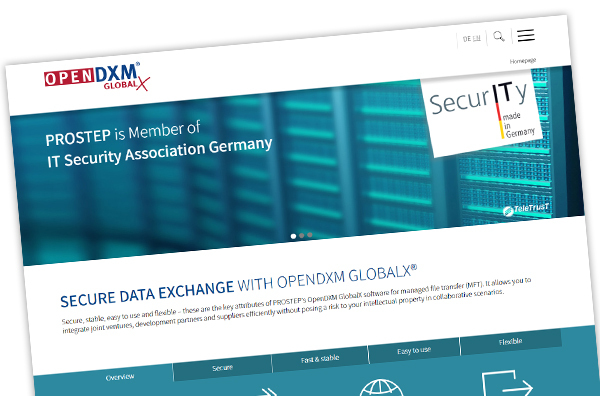 PROSTEP has therefore decided to update the structure, look and the content of its differnt websites and improve their functionality, starting with the OpenDXM GlobalX website. We hope that you like the new design and look forward to hearing what you have to say. at the following events. We look forward to seeing you there.